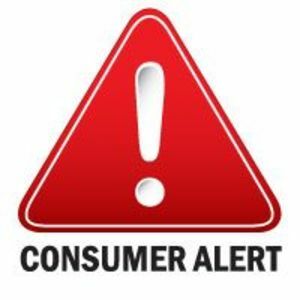 Connecticut Better Business Bureau is alerting consumers looking for a used car that it might look pristine, but may have hidden, extensive flood damage. Among the hundreds of thousands of cars from flood-ravaged areas, there are vehicles that insurance companies say would cost more to repair than they are worth, and would likely be sold at auction for parts or scrap. An estimated 500,000 to 1 million vehicles were flooded in the Houston area alone during Harvey. A special agent with the National Insurance Crime Bureau says used vehicles from Texas and Florida would typically be sold online through classified ad sites, fake used car websites and unscrupulous dealers who are not going to disclose to buyers vehicles' underlying damage. "History shows a pattern that used car buyers would do well to know about these scams," according to Connecticut Better Business Bureau spokesman Howard Schwartz. "We see photos and video of cars sitting in several feet of water. Many of these are expected to inundate the used car market in the coming weeks and months. It would be a serious mistake not to take necessary precautions." According to CarFax, over 271,000 flood-affected cars remained on the nation's roads last year, and that number is expected to swell considerably in the wake of hurricanes Harvey and Irene. The damaged cars are freshly painted, cleaned or repaired on the inside for sale, but they hide a variety of problems, some of which are dangerous. The first indications of hidden flood damage can be found if you lift up a corner of the carpet and find water damage. The list of potential problems includes heavy rust damage and corrosion to the vehicle's frame. A paint job and new carpets can hide damage to mechanical systems, the underside of the vehicle, brakes, the suspension system, transmission, electrical systems and mold. Flood damage may require an expensive disassembly for cleaning and reconditioning. The end result is a vehicle that needs work that will cost considerably more beyond the seller's price. The National Insurance Crime Bureau,an insurance trade group, warns buyers to be especially careful in the coming weeks and months as thousands of hurricane-damaged vehicles "...may reappear for sale across the nation, a problem that also occurred in the aftermath of Hurricane Katrina in 2005." After Hurricane Katrina, the Bureau set up a free VINcheck database, in which you can enter a Vehicle Identification Number (VIN) to see whether the insurance industry has deemed a car or truck seriously damaged. The only drawback is that the database would not have this information if the vehicle was not insured. There are also paid services that can give you a detailed history of a vehicle. Don't buy without seeing the vehicle - If you are buying from out of state, plan a trip to check the vehicle, instead of relying on photos. Look for signs of cosmetic work - These include a fresh paint job, recently shampooed or replaced carpeting or freshly cleaned upholstery that may have been performed subsequent to flooding. Check under the carpeting - Pull up a corner of the carpeting (both in the passenger compartment and trunk), and check for water residue, stain marks, signs of rust, and/or evidence of mold or a musty odor. Search for other signs of damage - Check under the dashboard for brittle wiring and evidence of dried mud and other deposits. Look for rust on screws in the center console and other areas that might have been submerged. - Before putting down a deposit, get a qualified mechanic to examine the vehicle from top to bottom. You can never know what they will find. This is not a free service, but it is money well-spent. If you're buying from out of town used-car sellers, check them out at bbb.org to make sure they exist and have a good marketplace track record.